Some more build pictures from Rosebud. This one was build up for Cheryl Waters (incidentally my favorite DJ). If you don't listen to the Mid Day Show on KEXP you probably have horrible taste in music. Another classy white and gold build with some serious color coordination. 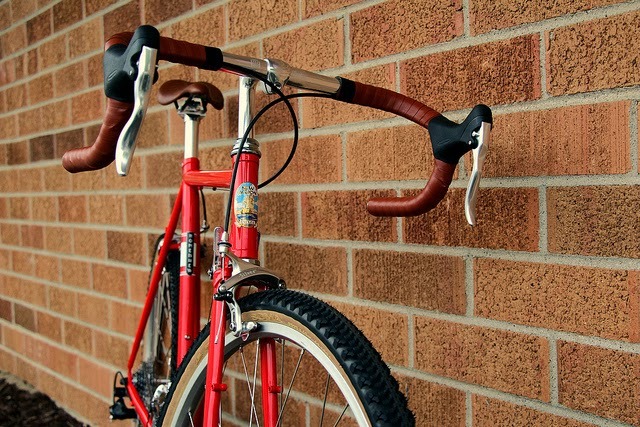 Sram bar end shifters on thumbie mounts. BQ style Honjo Daruma install. 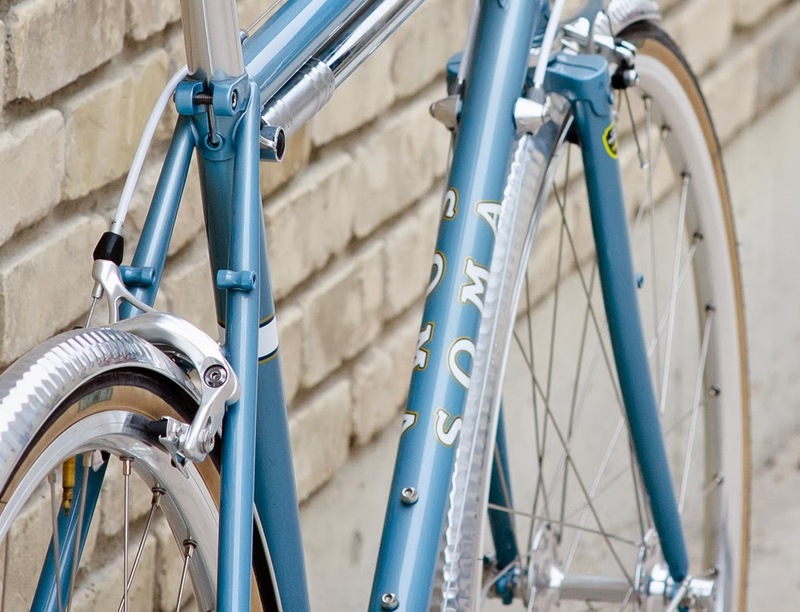 Another custom Soma build from Rosebud up in Seattle. 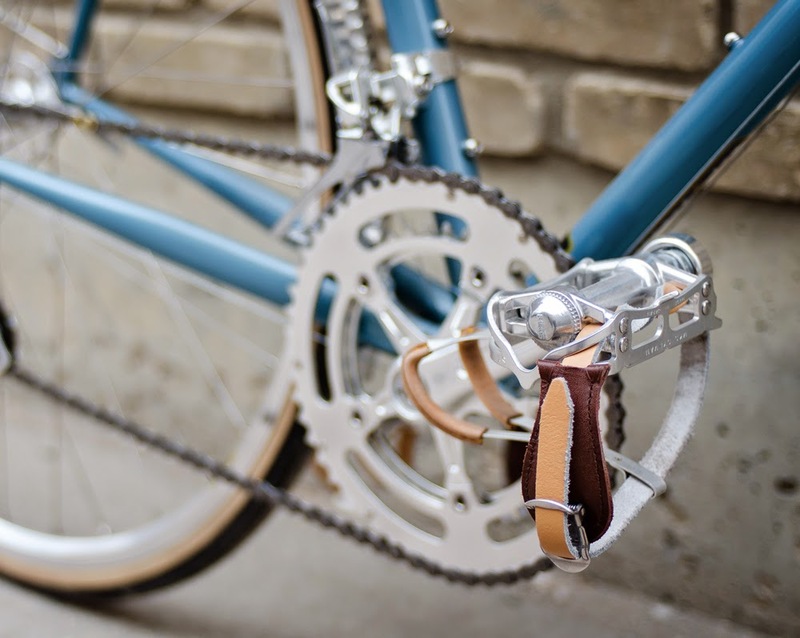 TA cranks with IRD Alpina front derailleur. 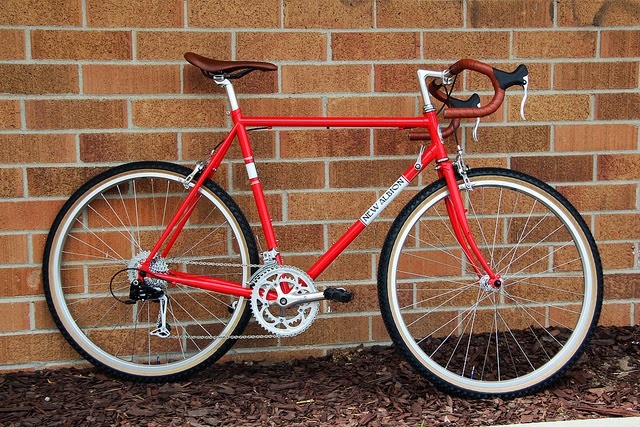 Thought you might be interested in my B-side build! 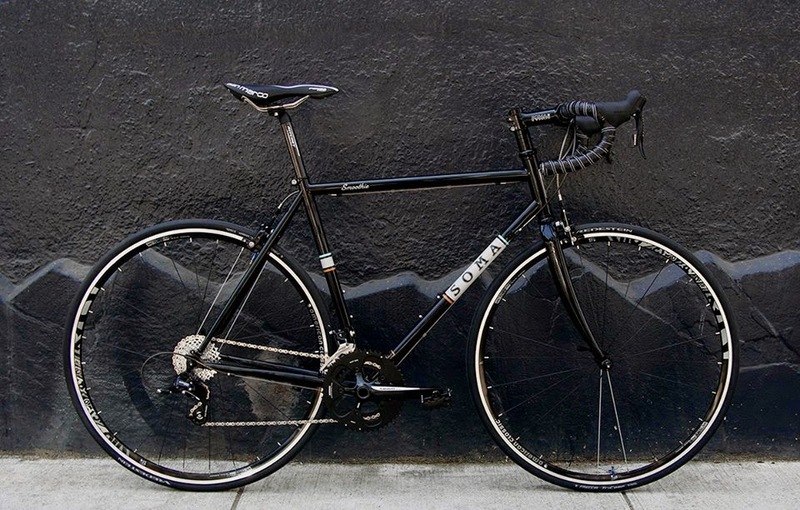 Here's our first build photos of the Slick Black version of the Smoothie road race frame. 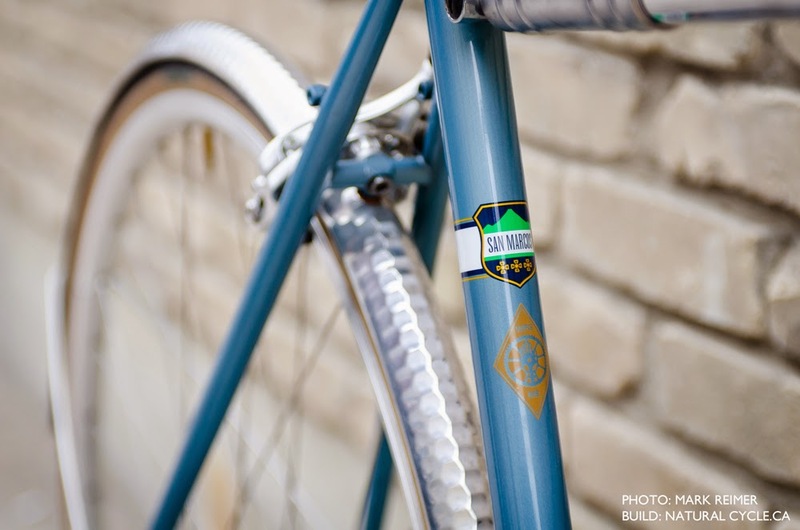 It features American Classic Victory wheels, Vredestein Freccia 23c tires, Foss tubes, Selle San Marco Ponza saddle and Ritchey Carbon post. 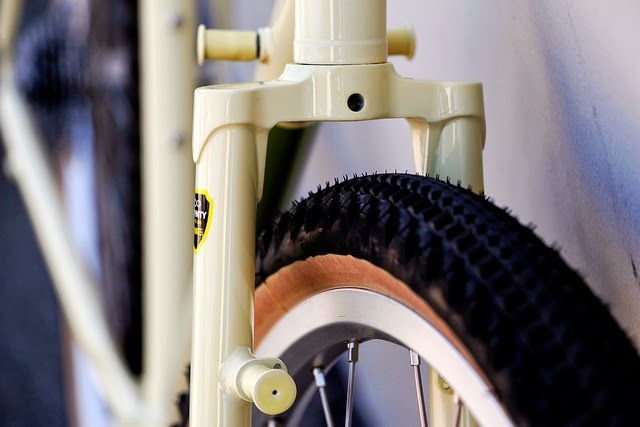 The carbon fork is our own (This is the first time we've decided to do matching carbon forks for the Smoothie - not a big deal for the black we know, but the Smoothie also comes in white). 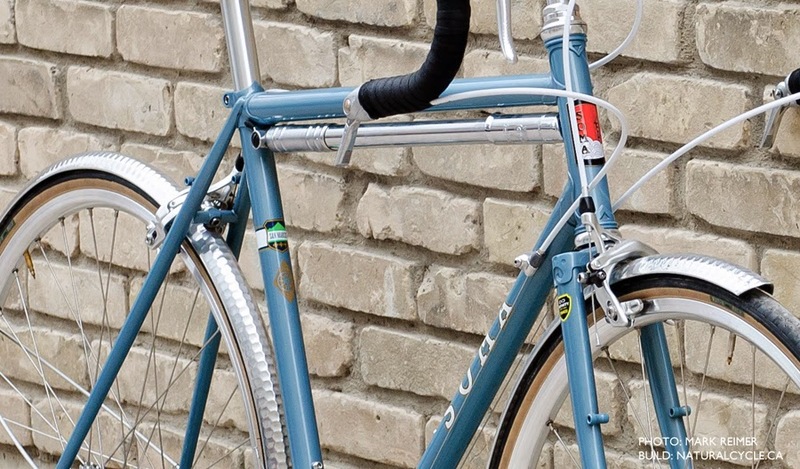 Matching lugged steel fork is also available. 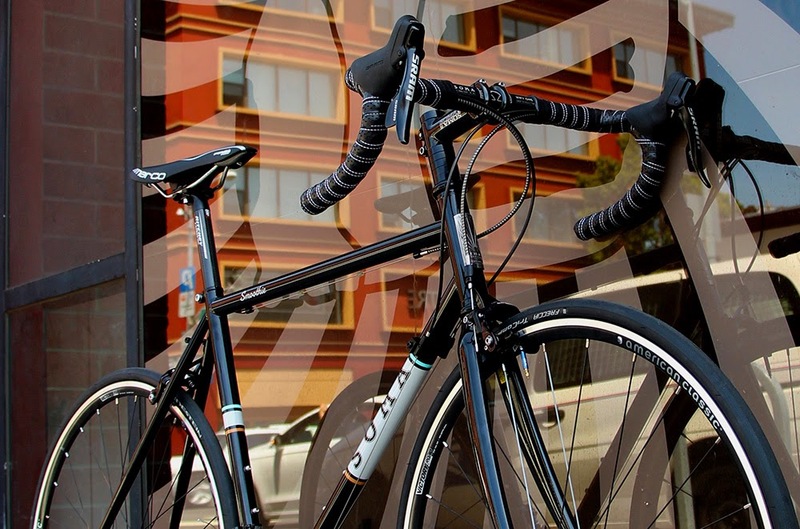 Rounding out the build is SRAM Apex and Yokozuna Reaction cables. 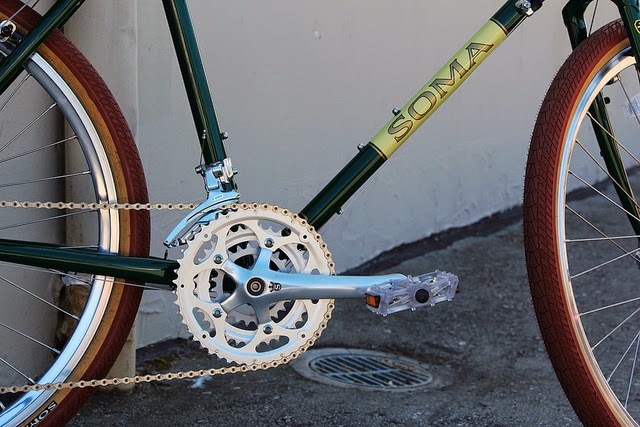 Adrian has been thinking about building a new Soma for a while now. So last week he finally pulled the trigger and got himself one of the Saga completes. Right out of the box he upgraded the tires for some Soma New Xpress 26ers. 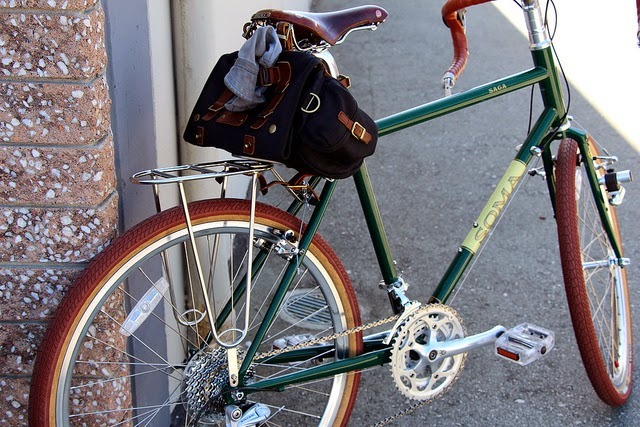 Still running the original Champs Elysees prototype rack on the rear to hold his Cardiff saddle bag. 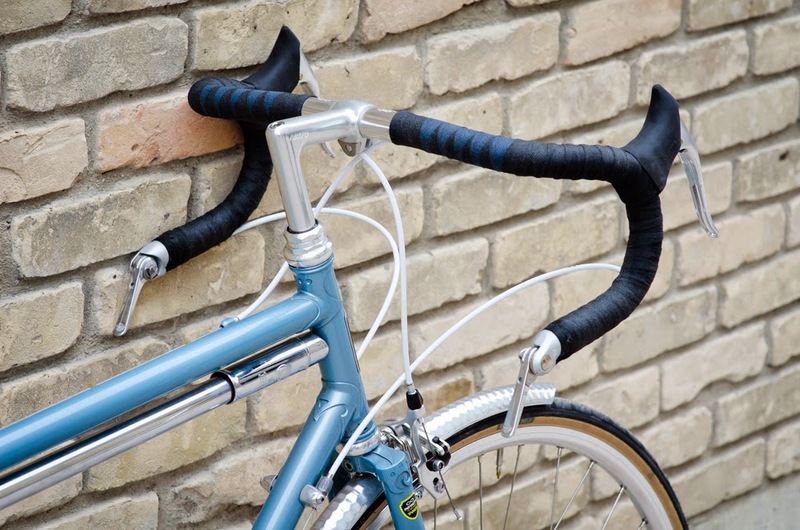 Soma Vegan leather bar tape to compliment the brooks saddle. We like the stock parts that come on these, but I got to admit these look real nice. Oh, right. 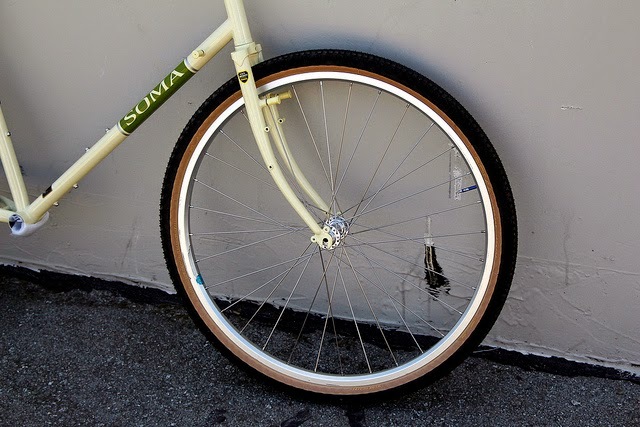 We made a bike specifically to fit these tires. I guess we ought to show you how that looks, huh. Yep, lots o' clearance. You're welcome. 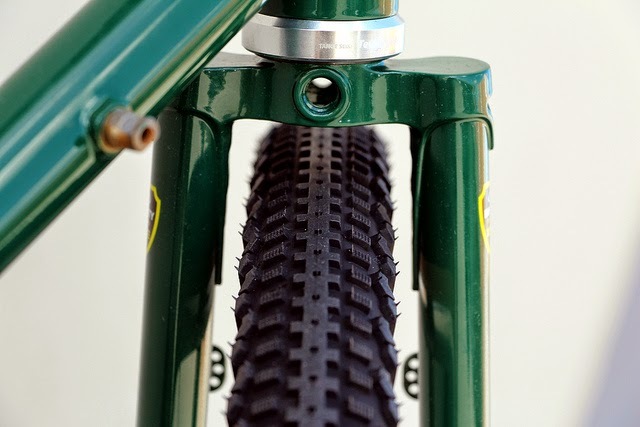 A couple weeks ago we posted some pics of the new Cazadero tires in 700c. Well, today we got the 650b samples in, and they're pretty neat. The width is the same as the 700c version (42mm on a Velocity Atlas). 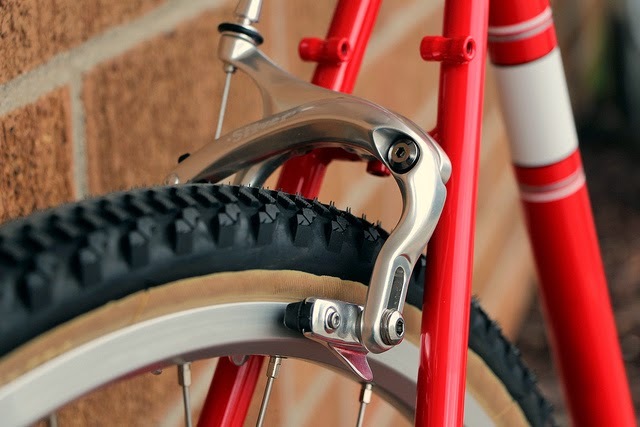 Plenty of clearance with these 73mm Rivendell Silvers. 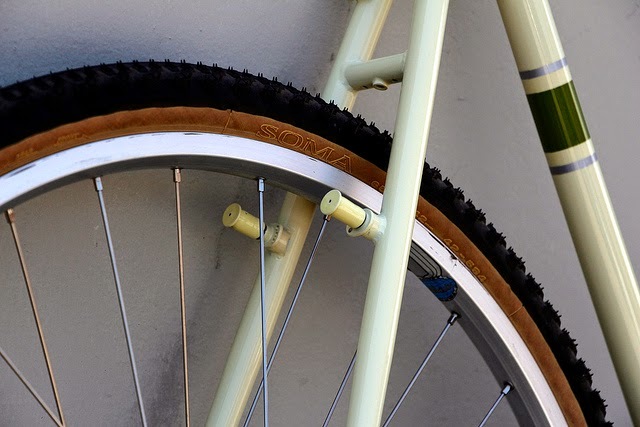 Since the side knobs are shaped to match the curve of the casing, they'll fit well under a fender. I was surprised at how well they roll compared to other tires I've used. 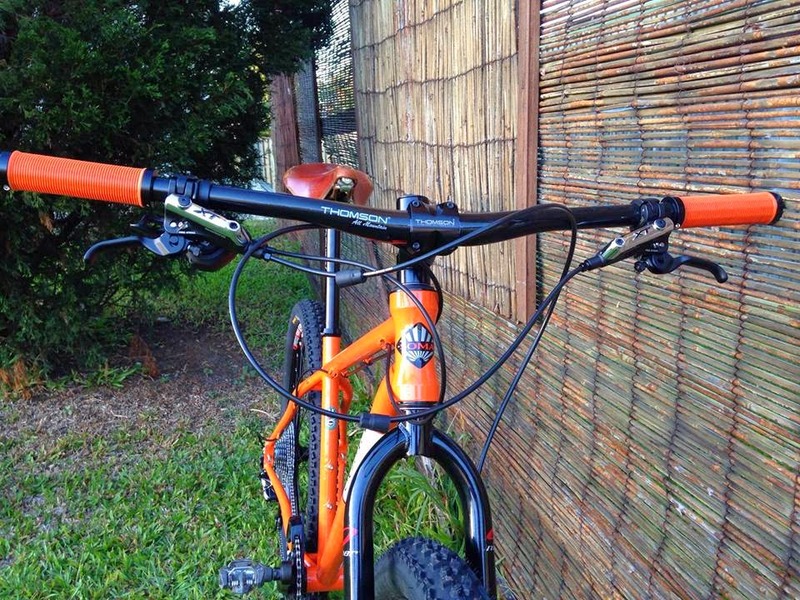 They're not quite as fast as the New Xpress or Grand Randonneurs, but much faster than the IRD Fire XCs on pavement. One thing that surprised me was that the curved side knobs actually grip really when when you lean into a turn. Unlike a mountain specific knob, which is designed to dig into soft earth, these knobs are much stiffer due to their shallow profile and thick vertical foundation. 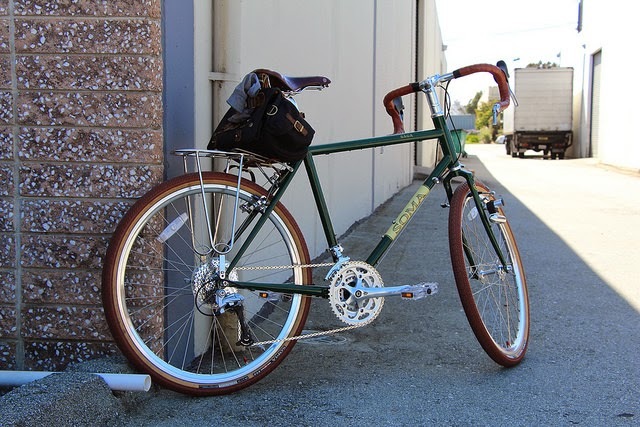 In case you didn't see my post on the New Albion blog, this is the Homebrew road model converted to 650b wheels with the Rivendell long reach brake calipers. I wasn't sure if there would be room for these tires since they are a bit wider than the other tires I was running before, but they actually fit with a decent amount of clearance. 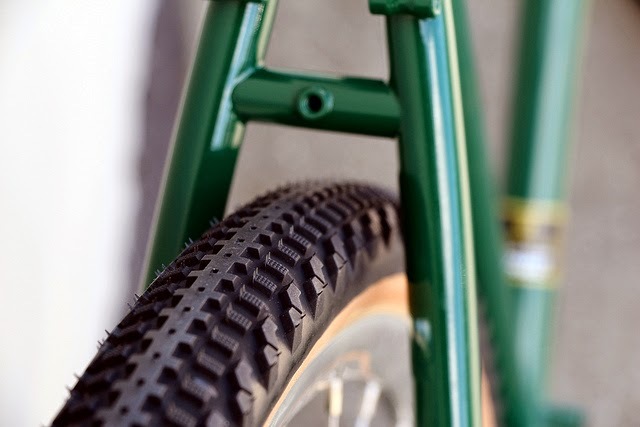 We're still expecting the first batch of tires to be available sometime in July. 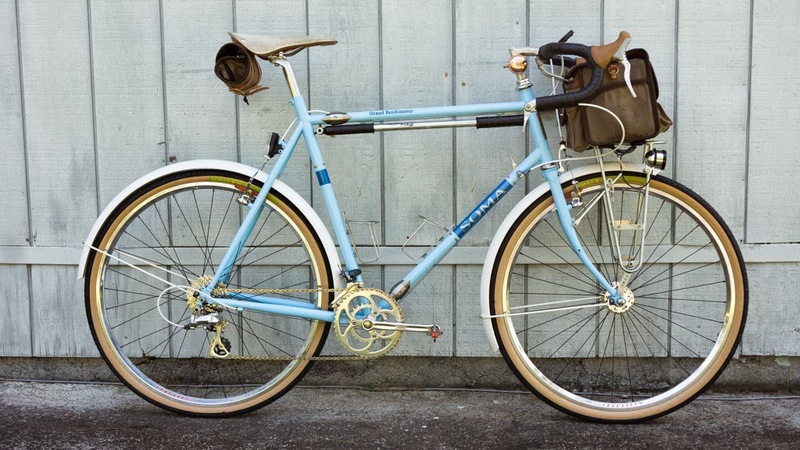 I'm might just have to keep this one for a lightly load gravel touring bike. It's been a blast to play around on. Tiburon Blue: A little darker than the Pearl Blue we used last. If you ever see both colors together, you'll agree they are different enough. Golden Gate Bridge. 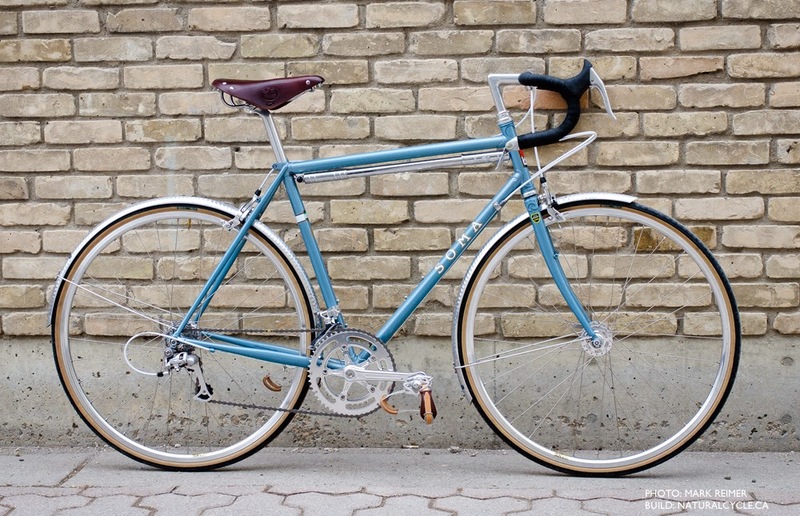 Immaculate build courtesy of Natural Cycle in Winnepeg. Wow, it is clean like this everywhere in Manitoba? 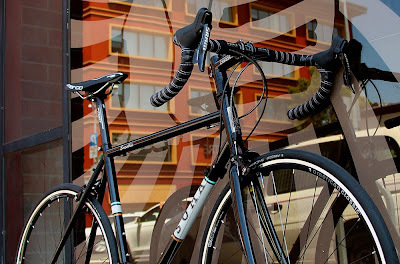 Nitto drop bars with Newbaum's cotton tape in a partial harlequin pattern. 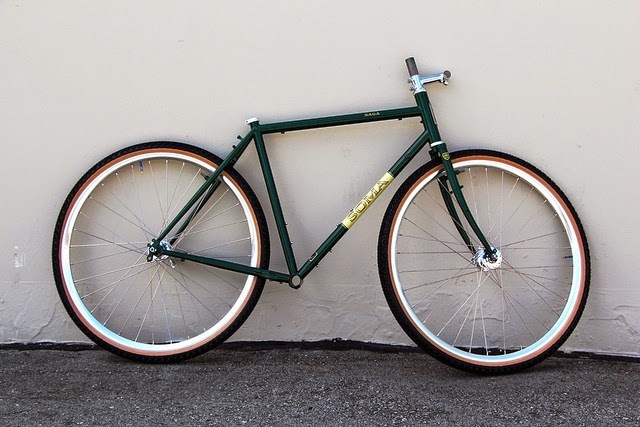 I noticed that you have a habit of posting customer bikes on your blog, so I thought I'd send in the Stanyan that my local shop, Love Bikes, just finished building for me here in Pittsburgh, PA. 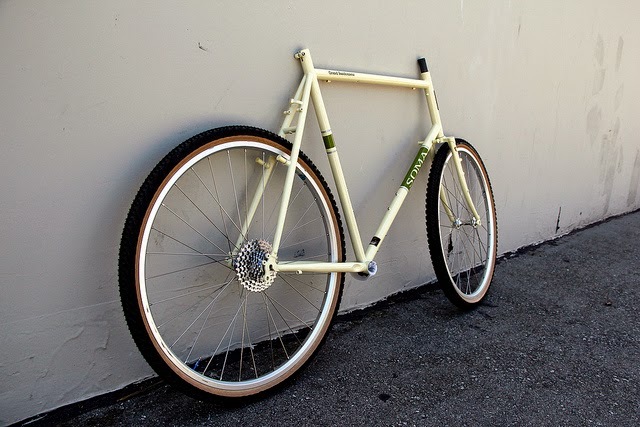 It's a 54cm frame with a 1x9 setup, mainly for cruising around downtown Pittsburgh. 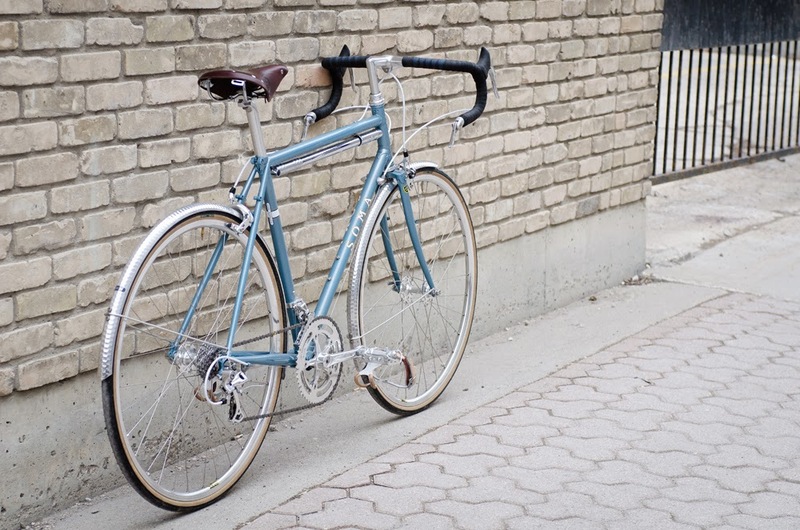 It's got a Velocity A23 wheelset laced to Shimano 105 hubs, a Shimano 105 rear cassette/derailleur, FSA Gimondi single speed crank, Tektro brakes, downtube mounted shifter, and a handful of small parts from Origin8 (seat post, bars, brake levers). It's been super fun to ride around town so far, and I can't wait to put some more miles on it. 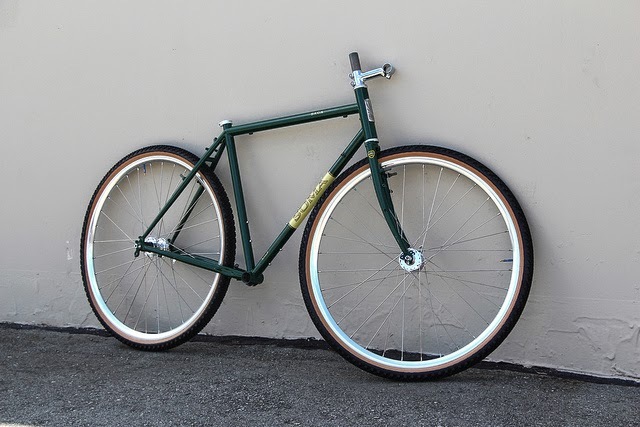 The frame is surprisingly light (my whole build probably weighs somewhere around 25lbs), super responsive, and fun to ride. Quick picture at work of my Bk/Wh Smoothie. 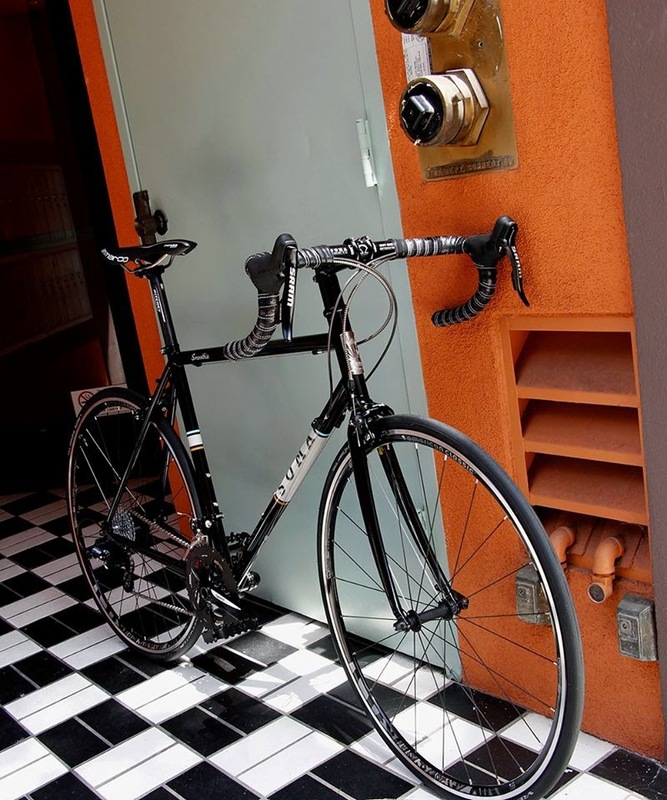 Love this bike! Simple and fun. 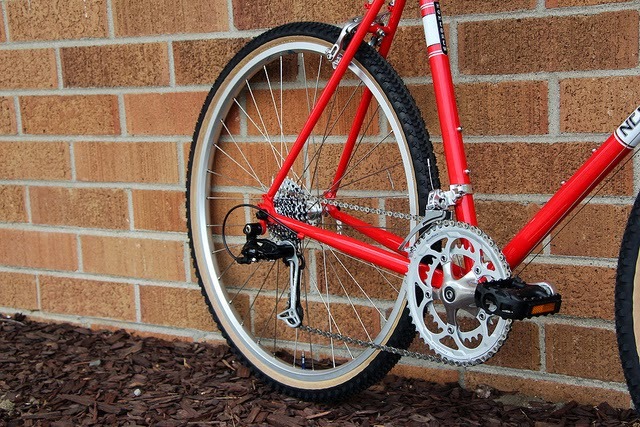 - 1x10 SRAM Force & DuraAce drivetrain w/ DYI brake mounted Sun Tour friction shifter. Sub 19 lbs on a tight budget! 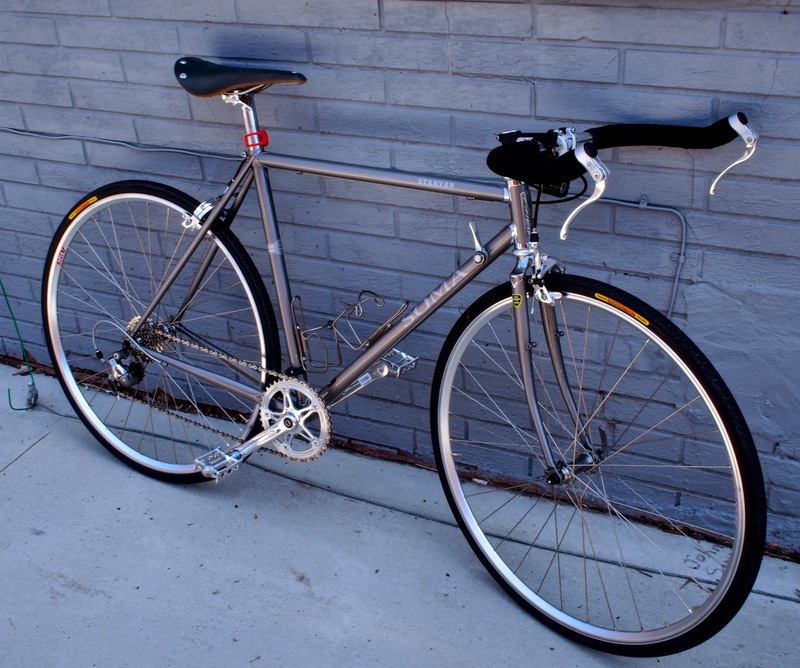 Also, on Friday my Grand Randonneur came back from Bilenky. Finally. They did a great (and fast) job of installing the couplers, but they outsourced to a painter that took twelve weeks! Boy am I glad to have it back. I put on new wheels and tires. Those SunXCD hubs are from your store. 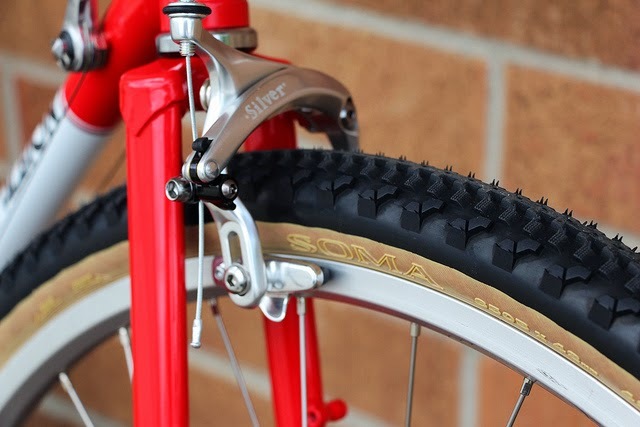 As a long-time user of the Paselas, I'm really glad to see those treads on the B-Lines. Tight fit though. Since both are new, I'm not sure if that's the fault of the tire bead or the A23 rims. 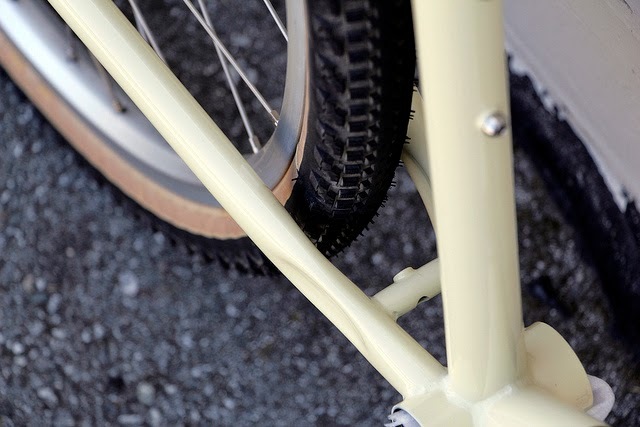 The fenders are painted the frame's original RAL 1015 ivory. Time to get it all scratched up and dirty! Zach loves his Double Cross Disc (Roman royalty edition with the gold and purple touches). 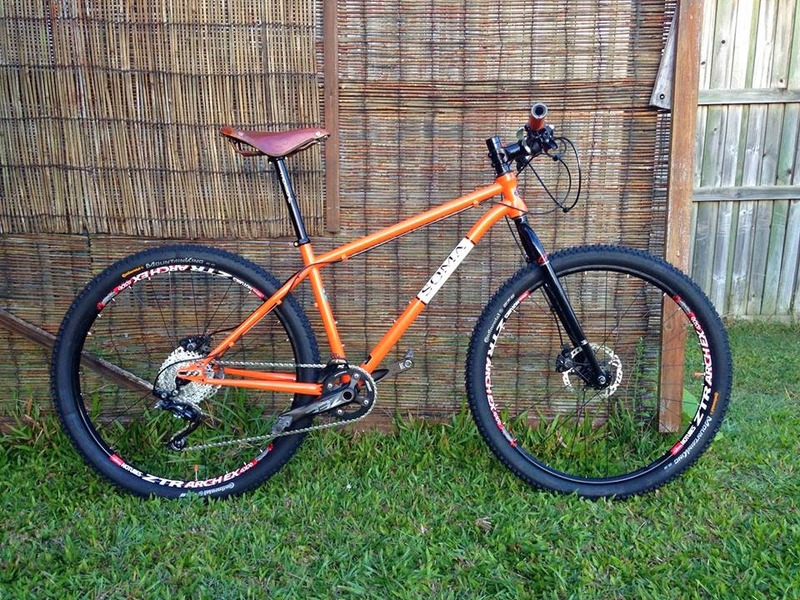 We've gone with 2x10 retroshift and TRP HY/RD disc brakes on this build for a cool 23lb 10oz ride that looks great. Happy Monday everybody! 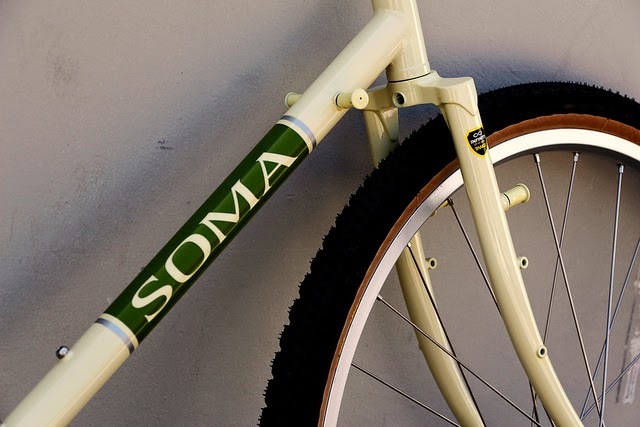 Here's some fun Soma product news to distract you this morning. 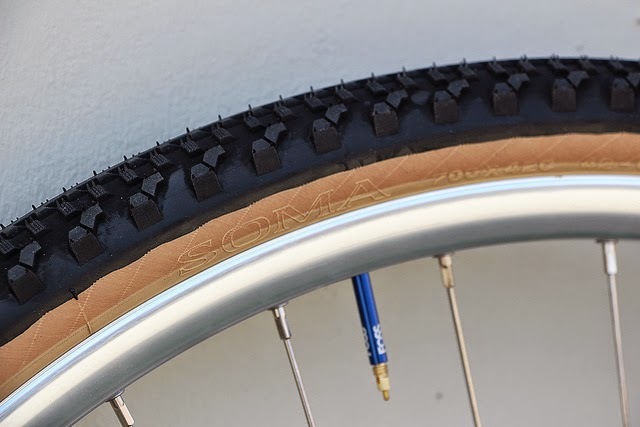 These puppies have been in the works for quite a while, but we just got the first batch of sample tires in from Japan. They're loosely based on the Panaracer Fire CX 45mm monster cross tires, but with a few tweaks that make them a bit more versatile. 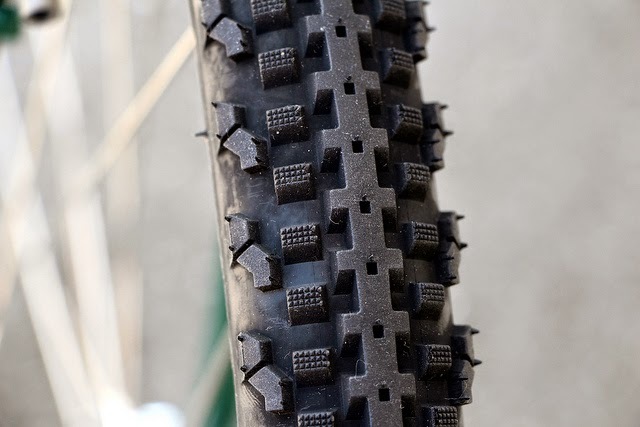 The tread is a bit shallower than the Fire CX and features a connected center to reduce buzz on paved roads, and a curved profile to maximize frame clearance and fit better under fenders. 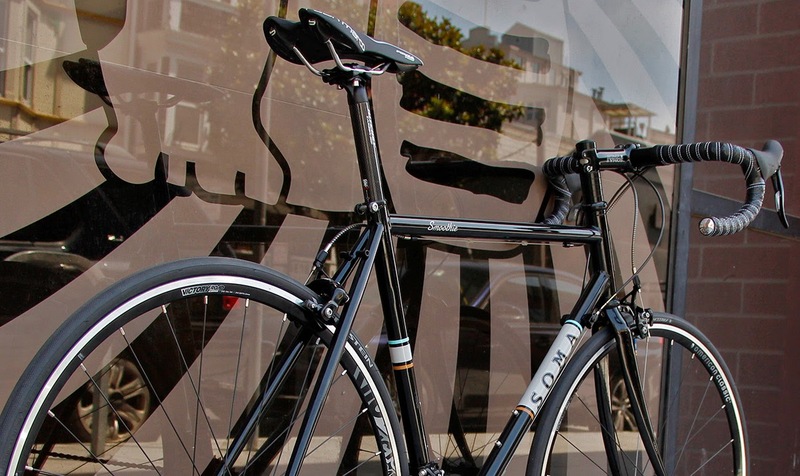 They measure 42mm wide on a Suzue disc wheelset, which will fit many existing frames such as the Soma Saga (pictured) and Saga Disc, Double Cross and Double Cross Disc, as well as our upcoming Wolverine frameset. 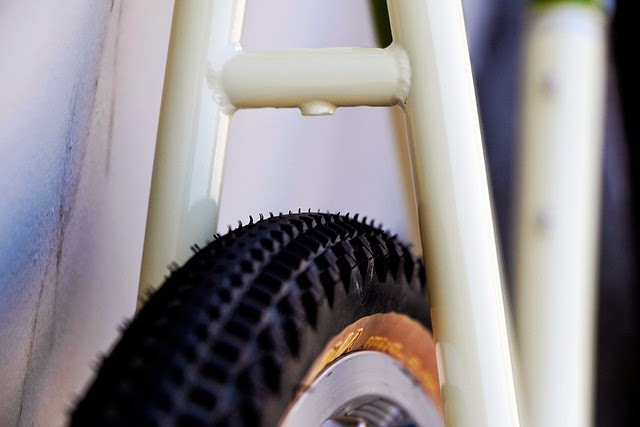 They're made with a folding Kevlar bead, and compliant skinwall casing similar to the B-Line and C-Line tires. 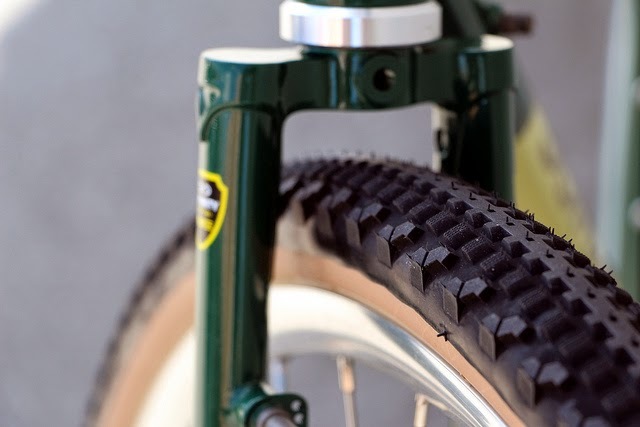 Like the Fire CX, the rear tread can be run in reverse for extra traction on loose gravel or sandy hardpack. These should be available in shops sometime in July. 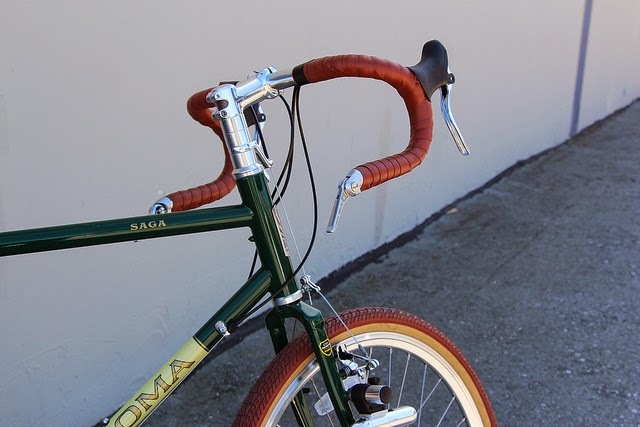 The samples we received are all 700c, however we will also offer a 650b version which would be a great option for many bikes out there such as the Soma Grand Randonneur, many models from Rawland, Rivendell, and Ocean Air Cycles, as well as quite a few disc equipped CX bikes which might benefit from a wider tire than they'll take in 700c.